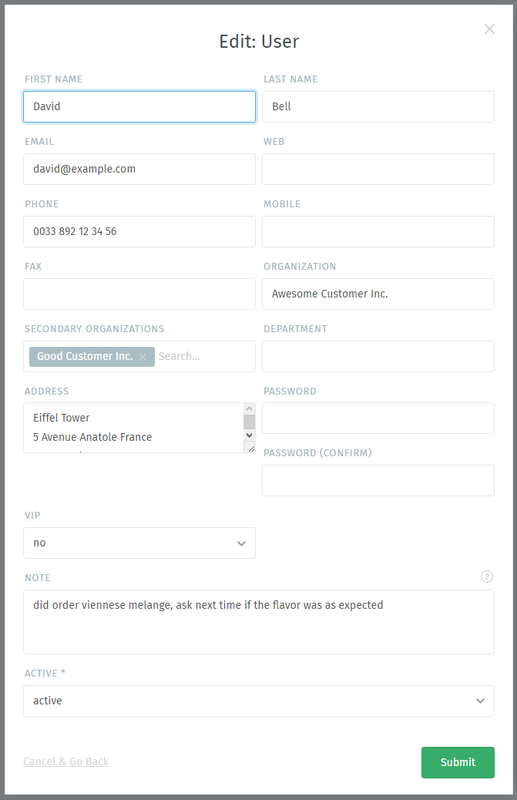 Use the ticket pane to manage customer profiles. 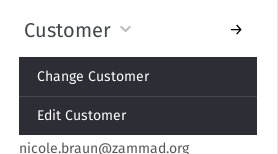 Click the 👨 tab in the ticket pane to see the customer’s profile. 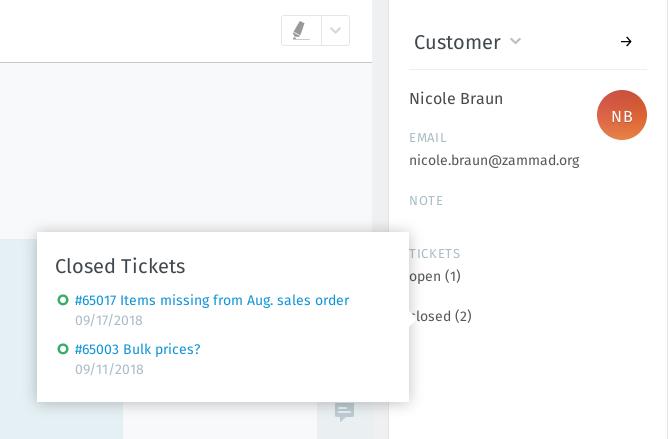 Hover over the open/closed labels to see a summary of the customer’s other tickets. Click the Customer ▾ heading to access additional actions. Customers may (optionally) belong to organizations – skip ahead to learn more. Like ticket priority, VIP status doesn’t actually do anything out-of-the-box, but an admin can set up automated system hooks based on this value, or use it as a filter for custom overviews. Ask your administrator about how she’d like you to use this attribute (or just leave it alone).